"Humans," Jeffrey Moussaieff Masson has written, "seem to take a perverse pleasure in attributing stupidity to animals when it is almost entirely a question of human ignorance." This dictum seems especially apt with Thanksgiving arriving. 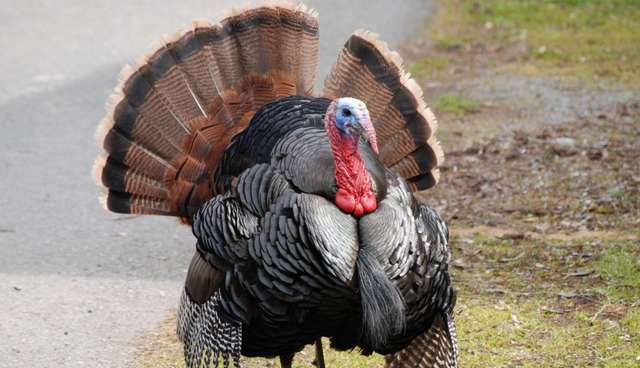 No animal, after all, has been more actively dismissed for its purported stupidity than the turkey. I'm well aware that most readers will deem Hutto's account as shamelessly anthropomorphized, if not just plain silly. I'm frequently reminded of our reluctance to fundamentally rethink the way we eat and consider the possibility that animals deserve better. I recently sat at a communal table at a vegan restaurant and listened to a jovial conversation about killing chickens and deer.At a vegan restaurant (granted, in Texas). You learn, after a time, to develop a measure of perspective on such things. There's been a heated back-and-forth on this site lately over how to categorize animals with respect to our supposed right to eat them. Is a pig objectively smarter than a dog? Well, then don't kill it. Is a pig less acculturated to human companionship than a dog? Well, then kill it. These exchanges have been more than a little thought-provoking. But ultimately they get bogged down in nuanced shades of distinction while missing the transcendent question: Are animals worthy enough creatures to deserve our ultimate respect, a respect that requires that we choose not to kill them for food we don't need? I'm the first to admit that I have no hard scientific evidence as to why I think the answer is yes. But as a historian I at least recognize that history is marked by a discordant combination of radical change and ceaseless continuity. Acculturated practices-practices that seem as normalized as breathing-eventually change. Not only do they change, but contemporary human societies look back on these once entrenched behaviors and wonder how we ever allowed them to happen. But what never changes, what will always be, is that humans are, no matter how hard we try to conquer the world's complexities, ultimately humbled by its mysteries. Turkeys, for those who have taken the time to look, are mysteries. All animals are. Do they anticipate and feel pain? Do they enjoy social relationships and feel the loss of companions? Do they think, remember, and conceptualize the future? We can debate these questions forever. But the fact that there's even room for debate suggests that we should err on the side of humility. And we might begin by giving some thought to our unthinking decision to eat turkey on Thanksgiving.